Welcome to the website of Edmund Blunden. This site aims to promote an understanding of his poetry and prose to a wider 21st century audience. 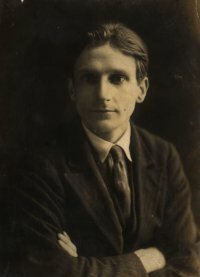 Edmund Blunden (1896-1974) was the longest serving First World War poet, and saw continuous action in the front line, between 1916-18. His life-long friend Siegfried Sassoon maintained that Blunden was the poet of the war most lastingly obsessed by it.